To continue on with our blog topic of Child Development, today we are going to talk about the different domains and skills that infants should be reaching in their development. In this blog series, infants refer to those between birth to 24 months. All of our information is coming from “Foundational knowledge from the 2007 publication of Early Learning for Every Child Today:A Framework for Ontario Early Childhood Settings”. We will go over each domain and skill, as well as the indicators of the skill and the interactions you, as a child caregiver, can be having with that infant to support them. Social refers to the way that we interact with each other. At the beginning of a child’s life, they are usually interacting with a small, core group of people (ie. parents, grandparents, siblings). This is the stepping stone to how they will develop friendships and other meaningful relationship in their lives. The second skill of social domain is imitation. This includes imitating adult behaviour and taking part in pretend pay with simple scenarios, such as sweeping the floor. Interactions such a playing copy cat helps the child to learn through imitation. It’s also a reminder to us that the children around us are watching us, and a good indicator that we need to be role models. The third skill is simple turn taking. This can be done through simple one-to-one games such the classic “peekaboo”. A game such as this can practices give and take of simple turn taking. The last skill of social domain is maintaining connection across space. This includes using gesture, vocalizations and emerging expressive language t keep connected to an adult across space. This looks like keep eye contact with an infant so they can “check in” while exploring. We all want our children to have strong emotional intelligence to better understand themselves and to learn empathy for the people around them. The first skill of the emotional domain is expression of emotion including comfort, discomfort, pleasure, displeasure, anger, anxiety, fear, sadness, joy and excitement. This expression can be show in the form of hugs, separation anxiety and showing clear attachment to parents. Self-regulation begins at this stage. As a child care provider, you can show your face or a comforting toy to help calm a child down. To continue off of that point, the next skill of the emotional domain is self-regulation (our favourite topic!) Self-regulation is indicate by a child becoming calm when comforted by familiar adults, comforting self with thumb or recovering from distress and over-stimulation in a secure relationship. It is your responsibility as a child care provider to get to know the child’s self-soothing behaviours. For example, my nephew hates to be rocked to sleep but he needs his blanket in order to calm himself down. By responding to an infant’s distress, the child care provider can help the infant self-sooth. The third skill is sense of self. This looks like sucking fingers, observing own hands, showing preference for being held by familiar people, beginning to distinguish known people from strangers, showing pleasure in mastery, playing confidently in the presence of caregiver and frequently checking in with them and increasing awareness of opportunities to make things happen yet limited understanding of consequences of own actions. A caregiver can hold the infant securely when meeting a new person to help them remain secure with new people and build confidence as the child expresses preference for certain people. The fourth skill is empathy by noticing and responding to distress of others and offering comfort by touching. A caregiver who is responsive establishes the foundation of empathy. The last skill is agency, beginning to sense that their behaviour can have an effect on others. Something as simple as smiling back at an infant who smiles at you is a way to response to their actions. This supports their sense that their behaviour can have an effect on others. Language is a learned skill that children are open and vulnerable to. Starting with babbling to short words to full sentences, a child communicates from day one with the people around them. The first skill is non-verbal communication. This includes referencing to caregiver to “check-in”, joint attention such as looking at books and photos with an adult, gestures (ie. waving, shaking head no), intentional communication and simple turn taking. Through interacting and using simple sentences, a caregiver can pave a pathway to better understanding of one another. The second skill is receptive language skills. This includes responding to familiar voices and verbal requests, recognizing named objects and body parts and pointing to objects named. This can be accomplished by using the infant’s name while playing so that their attention can be focused while listening. The third skill is expressive language skills such as signalling, vocalizing and babbling, one word, words with gestures and vocabulary. It is up to the caregiver to response and expand on their communication. For example, if the child says “moo” for milk, then the caregiver can say, “Do you want some milk?” By repeating, a child can learn everyday communication through imitation. The first few years of a child’s life are pertinent in their development, especially for their cognitive growth. The first skill is attention regulation. This means shifting attention with increasing ability and attending, disengaging and returning attention. A simple way a child care provider can do this is by reengaging the child in their play when they may look up and find something else to do. The second skill is problem solving. This includes setting goals and acting to achieve them, solving problems with actions by trial and error, engaging others as agents in solving problems and beginning to use objects as tools for solving problems. A child care provider can provide praise and admiration to the infant for encouragement and positive reinforcement. The third skill is cause-and-effect exploration such as repeating actions that produce outcomes, distinguishing actions from outcomes and using actions that show the properties and functions of things. The caregiver should show immediate responses to show the relationship between his actions and the reaction of the material. The fourth is spatial exploration. This is indicated by tracking moving object with eyes, looking for dropped toys, elaborating search with watching and seeking after a number of changes. As well, identifying objects from different perspectives, using body to explore space by crawling in, by and through various objects and exploring objects in space by dropping toys into containers and dumping them out. An example of what a child care provider can do is asking “where is the doggy?” and shrugging shoulders. This encourages the child to read your body language and search around them. The fifth is spatial problem-solving. This is shown through persisting in search for hidden toy, searching for toy that rolled under furniture by crawling around to the other side, solving spatial problems involving barriers by moving over, around or through barriers, and stacking blocks. An activity a child care provider can do is use a cushion to create a new barrier on the floor to create a new spatial problem for the crawling infant to master. The sixth is object permanence, or searching for playthings that move out of sight and finding hidden objects. A game for object permanence would be to hide the child’s favourite toy under a small blanket while while they’re watching. Pause. Lift the blanket and look surprised. This simple game teaches a child rules of a game and object permanence. The seventh is symbolic thought, representation and root skills of literacy. This is indicated by creating internal image of an absent object or past event, using gestures and materials to stand for ideas, pointing to photos, pictures in books and imitating adult actions. Take a family picture and point to each family member and say their name. This helps the child represent real things and that things and pictures have names. The eight is memory and sorting. This is indicated through recognizing previously seen faces and objects, increasing capacity of recognition memory and grouping like objects together. The idea is to point to play material and touch them and sort the play material out into groups, such as coloured building blocks. Infants change everyday and it is very evident in their little growing bodies. These are indicated in four different skill areas. The first skill is gross motor (larger muscles). This includes reaching and holding, releasing objects, holding head up, lifting upper body, rolling, sitting, crawling, pulling self to stand up, cruising, walking, strength and coordination. As a child care provider, it is your responsibility to provide toys and activities that can strengthen the infant. Activities include placing objects around them just out of reach of them so they have to move to them, holding their hands to help them walk around and providing push toys so they can walk around with them. The second is fine motor (smaller muscles). This includes palmar grasp, coordination, pincer grasp and holding and using tools. Offer the infant toys to hold onto of all sizes, encouraging eating with fingers foods of all (safe) sizes and scribbling with crayons. The third is senses. This includes visual, auditory, touch, olfactory and taste. Use the space around to explore the different senses. For example, have soft toys, hard toys, roll a ball around for the infant to follow with their eyes, listen to music, bang on pots and pans, and try new foods! Everyday interactions with our environment helps the infant’s senses grow! Next week we will be discussing the development for toddlers (14 months to 3 years). 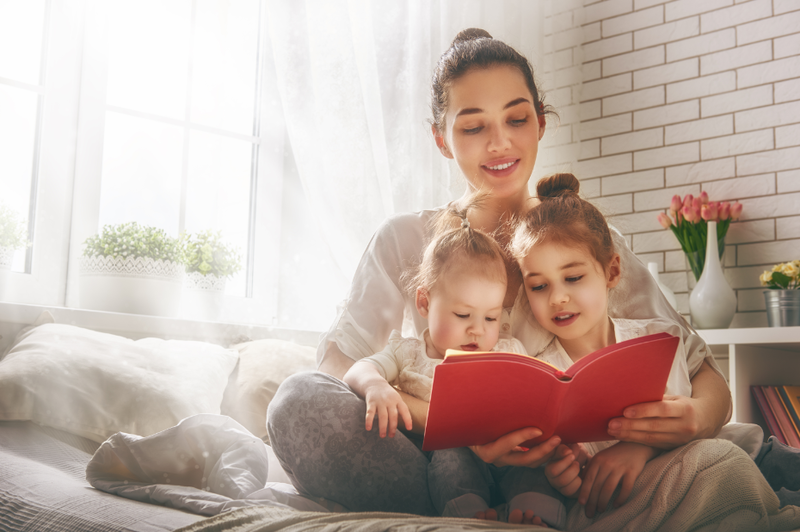 To learn more about Au Pairs and how they can help with your child’s development, contact us today!